Well, I didn't manage to finish today. 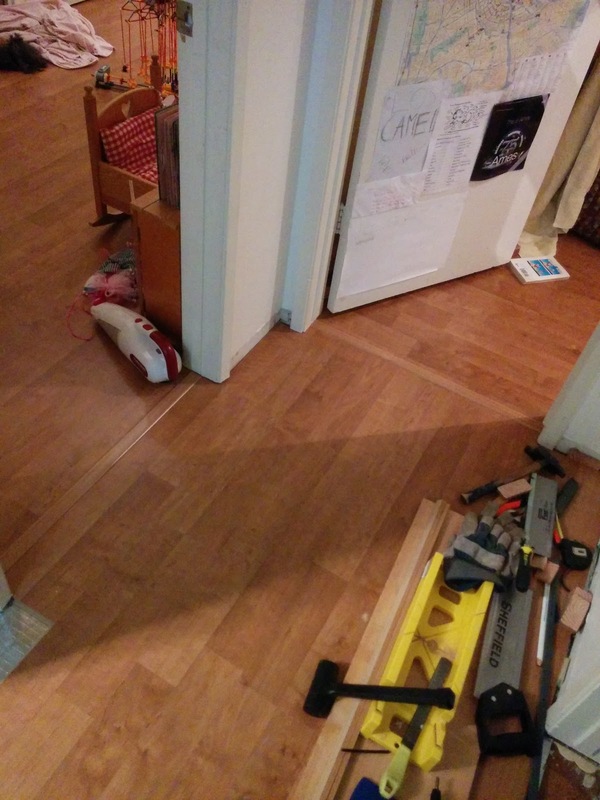 How long could it possibly take to put laminate in a 12x4 ft hallway? More than one weekend, it turns out. Crooked subfloor and German genes are to blame. Once again, I ran out of daylight for the table saw, but I did get the floor on one end completed.